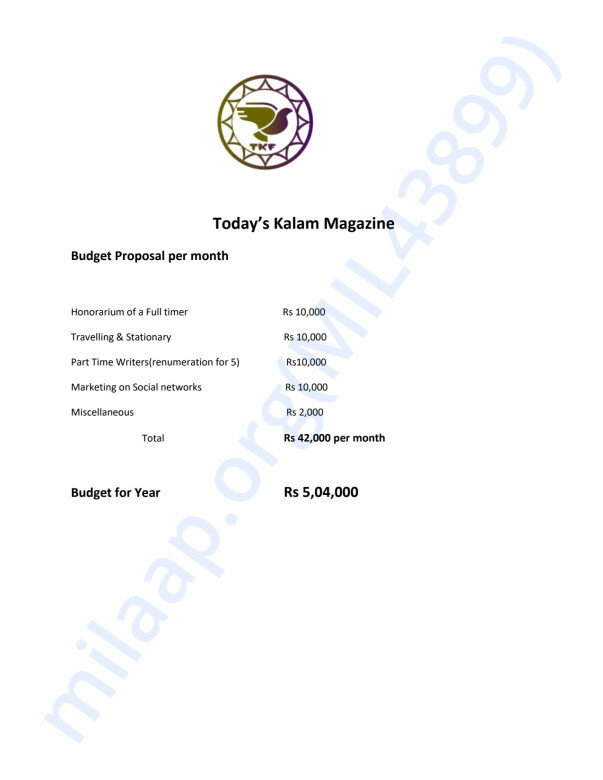 ‘Today’s Kalam’ is a monthly magazine initiated by a group of Intellectuals working for development of India. Several issues were being discussed like Women Empowerment, Education, Community Development and recent trends in NGO sector. 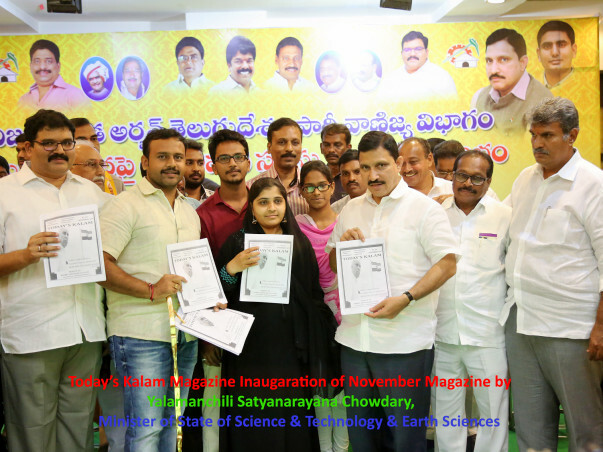 This magazine Today’s Kalam will act as an Information provider, Facilitator, Whistle Blower and repository of Knowledge and Wisdom. First magazine released in the month of July 2017. 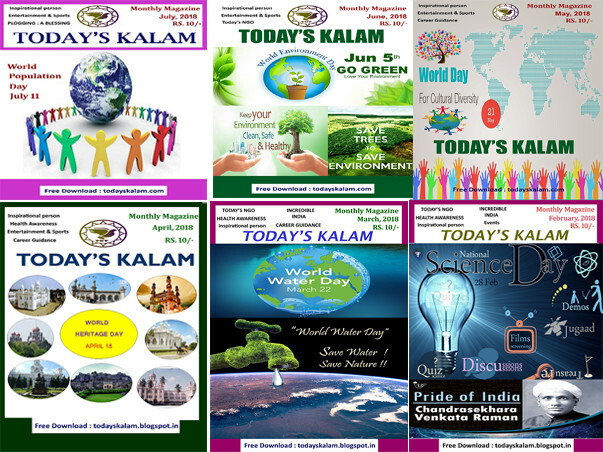 Today’s kalam has taken an initiative to explore the hidden talents and introduce them to the youth. The endevour is to introduce persons who are contributing silently to the underprivileged in the society so that they become role models to the youth. We showcase both budding authors as well as experienced educationalists, social activitists, industrialists or anyone with unique capabilites and excellent skills. Hope our Today’s kalam will provide a unique platform to bring to light the deserved ones. 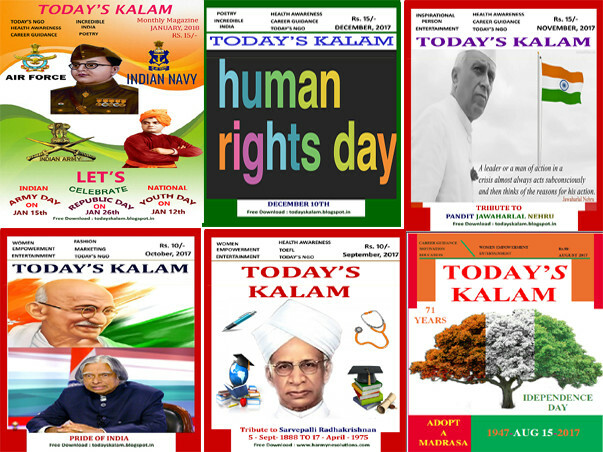 Please visit www.todayskalam.com for all editions of magazine. We have 5,000+ downloads for every edition of magazine majorly College students and corporate employees read. What do we do with the Funds Raised? We will encourage budding writers to build their career with us and cover unsung heroes of society and bring them to light. Currently we have 2 full timers and 10 + part time writers who needs support.It is only available online if we got good funds we will print it and take the message of good works in society to more number of people. Monthly expenditure is Rs 50,000 which includes Honorarium of 2 Full Timers ,Travelling,Stationary,mobile bill and Internet. We thank each and everyone for supporting our Magazine.